Nixa Amateur Radio Club: Nixa ARC Field Day 2011 - Everyone Welcome! Nixa ARC Field Day 2011 - Everyone Welcome! The Nixa ARC Field Day event is coming up this weekend, Saturday June 25th through Sunday June 26th. This years event will be held at the Nixa High Pointe Elementary located at 900 N. Cheyenne Rd in Nixa. We will begin setting up the Missouri Highway Patrol mobile command center at 7:30 a.m., along with the HF beam antenna supports, and begin operating at 1:00 p.m.
We have 3 stations lined up, all capable of running CW, SSB or Digital PSK31 or RTTY. This year's event will consist of two Yaesu FT-920's and a Yaesu FT-950 and for 6-meter SSB a Yaesu FT-450. 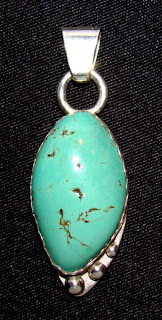 The stone measures 22mm long and 12mm wide. Overall length or the pendant including the bail is 37mm and it weighs just under 4.5 grams, so it isn't a tiny piece, but not so large as to be gaudy:-) Retail value is $60. No chain is included, but most any size or length can be used. You can purchase your chance to win for $1; or get 6 chances for $5! This would be a beautiful gift for anyone. We are looking for operators to come out and operate the radio, or log the contacts in the computer. With 3 stations, all capable of multiple modes, we should be able to keep them active all of Field Day. Our goal this year is to do better than any other year in the past. But, to do that, we need your help! So, come on out to Field Day 2011 with the Nixa ARC. If you need directions, e-mail [email protected] or catch us on the Field Day talk-in, 145.270 -, PL 162.2 Hz, and we'll guide you in. 73 & see you this weekend!